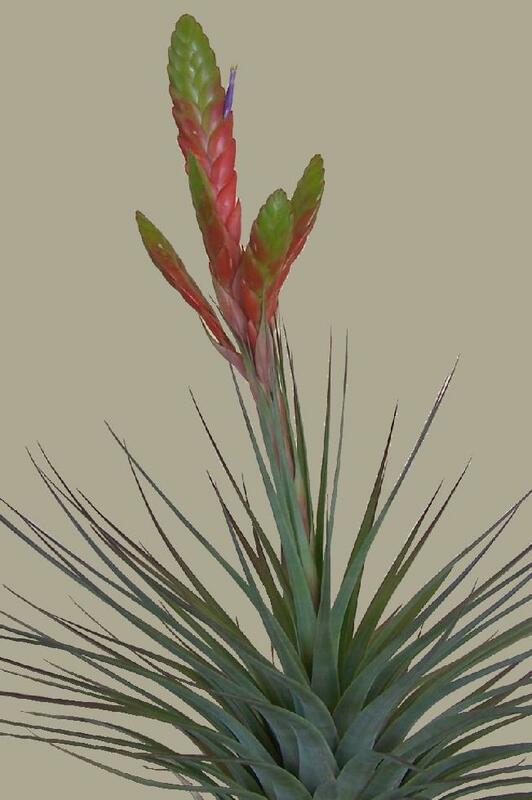 From BCR ... "The history of Tillandsia ‘Front Cover’ dates back to around 2005 when Len Summers & Michael Romanowski were visiting a specialist Nursery called Collectors Corner in Melbourne, Australia. 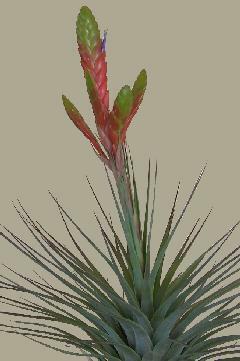 Several plants from a particular batch of T. fasciculata which had been imported from Guatemala were flowering. Michael & Len were very taken with this form, and Michael photographed the one Len bought. 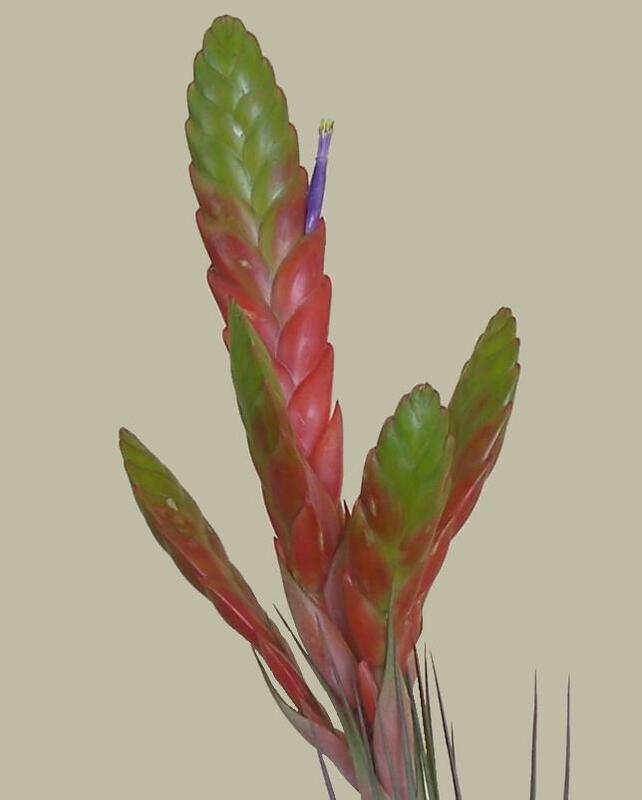 The photo eventually was put on a calendar issued by the Bromeliad Society of Victoria. When offsets from this plant were handed around at a ‘Till Nuts’ gathering in Albury, it needed a name. Inadvertently Chris Larson said - "the one from the front cover of the Victorian Newsletter". From that day on it was passed around as T. fasciculata "Front Cover". Leaves ca 20cms. long, scape 15cms long, inflorescence 14cms. long, sde spikes 1 sterile bract, 6cms long, Posterior sepals connate 1.5cms. Plant offsets freely. Reg. Doc. 8/2011 by C. Larson. Fasciculata Group".